What Is Blow In Wool Insulation? Are you searching for “Blowing Wool Insulation Phoenix”? If so you must be looking for a high quality insulation option for your home. Barrier Insulation is proud to offer high quality blowing wool insulation. We feature CertainTeed Insulsafe® SP blowing wool insulation which is designed for retrofitting existing houses and weatherize against the elements. Insulsafe® SP is a premium loose fill insulation designed for new build and retrofitting insulation installation. I provides reliable coverage, reduces energy consumption, and coverage for even hard to reach areas of attics, walls, and ceilings. 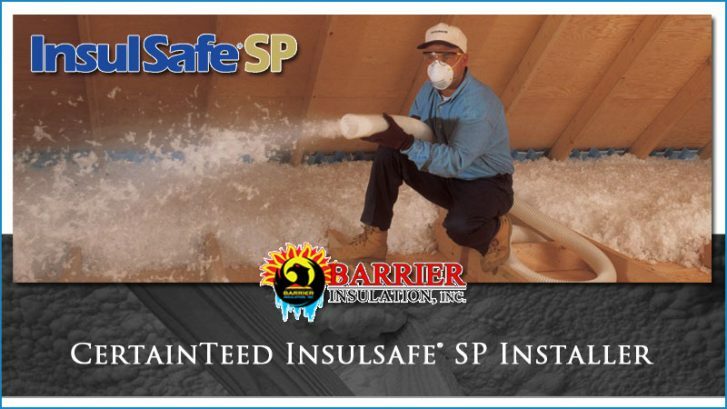 Insulsafe® SP Blowing Wool Insulation is used to weatherize or retrofit homes by installing it in walls and attics. Highly effective insulation R-values are achieved by dense-packing sidewalls and loose filling attics floors or ceilings. When installing Insulsafe® SP into existing walls the process is done by using the “drill and fill” technique where access inside the wall spaces is made through the sheetrock or wall surfaces, insulation is dense packed in, and the wall is repaired to return it to have a seamless appearance. 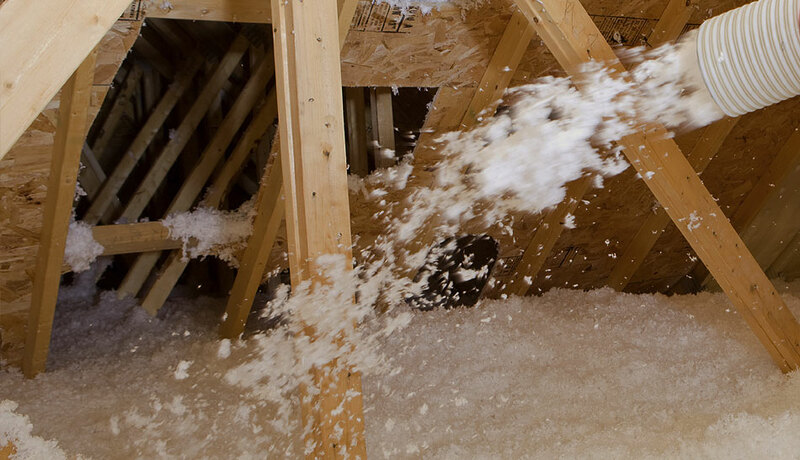 This insulation is also ideal for doing open blow insulation installations in attics. With Insulsafe® SP being excellent for walls and attics there is only one insulation product needed to complete insulation weatherization and retrofitting projects. Blowing wool insulation has a number of great benefits like being more affordable than other insulation alternatives and the ability to retrofit old walls with insulation. Insulsafe® SP blowing wool insulation has a number other unique benefits that make it an exception product for Phoenix homeowners. • With a single investment you’ll be saving up to 20% for monthly energy bills. • Insulsafe® SP doesn’t decade, rot, or corrode. • This insulation is formaldehyde-free. • Can be installed on top of other other insulation. • Insulation is sound damping to make quieter homes. • GREENGUARD® Gold certified for the best indoor air quality. • Insulsafe® SP is made with renewable and recycled materials. • Does not contain harsh chemicals, dyes, or unnecessary fire retardants. • Dense packing fills up all and gaps which creates better interior temperature control and an effective thermal barrier against outside air. • Insulsafe® SP will absolutely not settle in your walls. Which means many years of excellent performance. • Superior resistance to infiltration of air than cellulose insulation materials. • When installed in attics it will not change its intended R-value. Why Choose InsulSafe® SP For Your Home? InsulSafe® SP is the premium loose fill insulation which provides excellent insulation that helps reduce energy consumption. This is true for both new build homes and when retrofitting older homes. NAIMA.org estimates that a whopping 90% of homes in the United States are under-insulated. That means that statistically you’re home is not insulated to be energy efficient and you’re spending more money cooling and heating your home than you should be. Not only does this waste your money running AC units and heaters more than needed but reduces the services life of your HVAC equipment. Certain types of insulation are difficult or impossible to get into smaller nooks and crannies. This makes InsulSafe® SP one of the most cost effective insulation options as it is quick and clean to install along with getting into tricky corners in your attic, walls, or ceilings. InsulSafe® SP is a preferred insulation type as it helps preserve your indoor air quality. It is dust free and doesn’t contain harsh chemicals, dyes, or fire retardants that can diminish your indoor air quality. In fact InsulSafe® SP is GREENGUARD® Gold Certified which guarantees that this insulation will help maintain superior indoor air quality! If you are ready to retrofit or weatherize your Phoenix home or business Barrier Insulation is ready with the most professional, skilled, and friendly team of insulation contractors in the Phoenix metro area. We are proud to feature Insulsafe® SP Blowing Wool Insulation as part of our insulation options for both residential and commercial buildings. Contact our team to ask a question or schedule a visit to talk about the best insulation options to reduce energy bills and make your home more comfortable. For quick connection please call 602-499-2922 or 623-931-0637.